By maintaining the Windows Hosts file you can block many annoying ads, banners and cookies as well as complete websites, potentially speeding up your web-browsing and keeping you safer online without the need to add yet more plugins to your web browser. 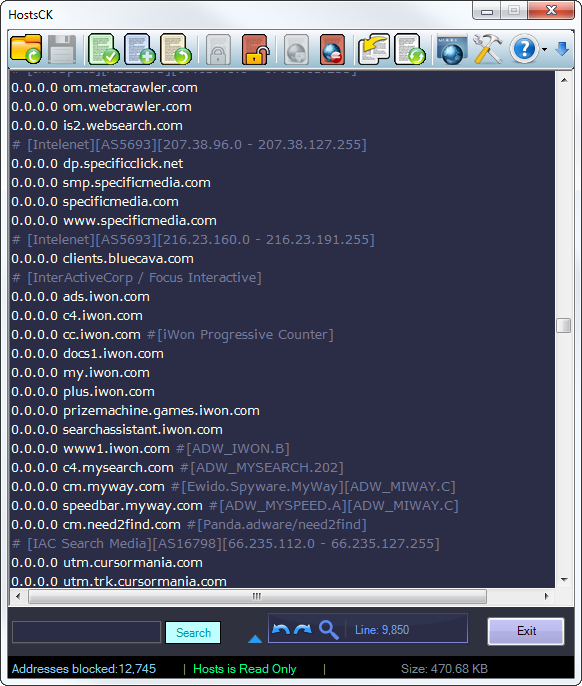 And unlike browser plugins a Hosts file can protect your computer even when you are not browsing by blocking programs from connecting to their home site. HostsCKIt makes the Hosts file easier to read by using different font colours for the comments in a Hosts file and the addresses being blocked or allowed. You can use any colour combination you want. You can also easily remove any or all comments. 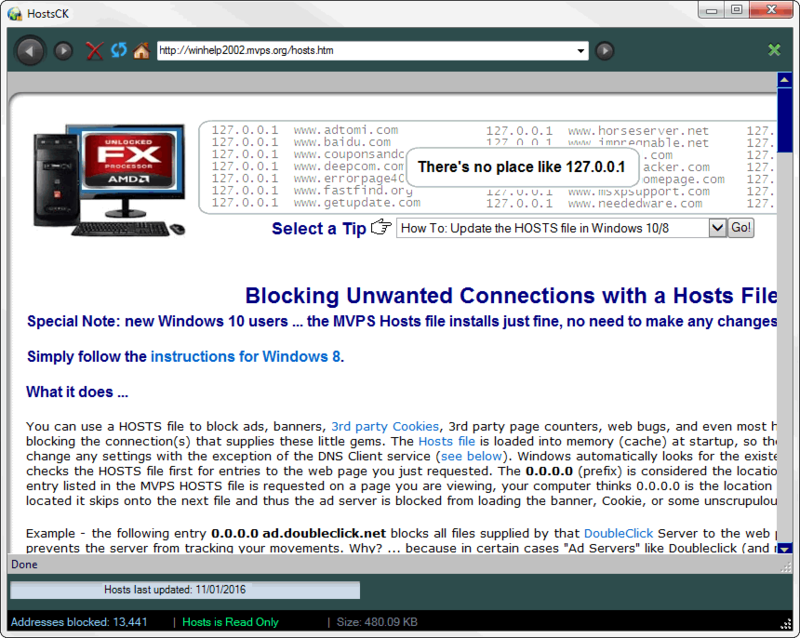 HostsCK BrowserOne click on the toolbar opens the built in browser which can take you to mvps.org or any other website that provides a Hosts blocked list making it easy to download and update the Hosts file. There are options to backup your Hosts before saving, remove comments or change any prefix of 0.0.0.0 to 127.0.0.1 or vice versa. 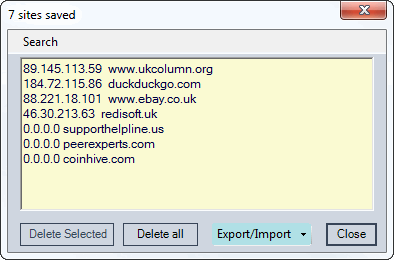 Saved sites viewerSave your own sites which will be imported back into the Hosts file when you have update it. You can save addresses to a whitelist. HostsCK will make sure those addresses are not blocked when saving a Hosts. HostsCK also makes it simple to backup or disable the Hosts file, you can revert back to the original Microsoft file if required. It can lock the Hosts file which will prevent other programs deleting or modifying it and you can easily import your own lists.